The designer Sue Timney has worked in Britain, Europe and Japan for over 30 years creating interior projects celebrating her own brand of exotic classicism under the Timney-Fowler and Sue_TIMNEY banners. Her work ranges from commercial and residential interior architecture to product design. She was made a Visiting Professor and Honorary Fellow of the Royal College of Art in 2007 and also holds the Textile Institute’s Design Medal and was nominated for the Prince Philip Designer's Prize by the Royal College of Art. From 2012 - 2014 Sue was President of the British Institute of Interior Design (BIID) and is she is currently a Trustee of the Laura Ashley Foundation. In 2002 alongside Timney-Fowler, the SUE_TIMNEY Interior Design practice was set up to work on specialist interior and product projects. A retrospective of Timney’s work was held in 2010 at The Fashion and Textile Museum in London together with the launch of her book Making Marks - a design biography. 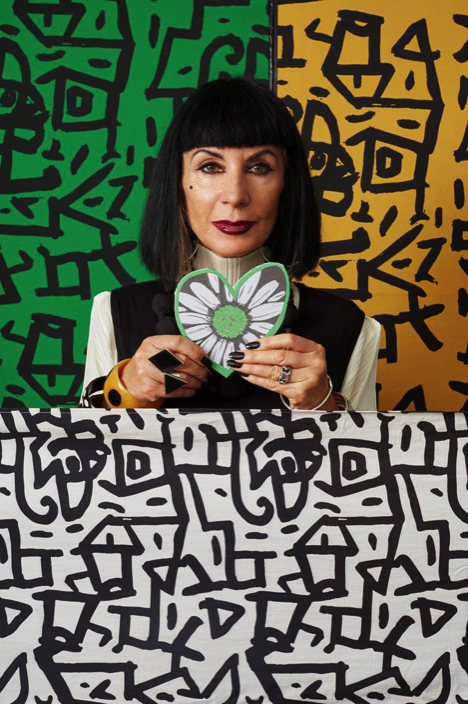 The House of Fraser launched the Timney brand for Home and Fashion in 2011 and her work was exhibited in the Postmodernism: Style & Subversion 1970-1990 exhibition at the Victoria & Albert Museum. Sue's designs in 2012 were exhibited in the V&A’s 'British Design 1948-2012: Innovation in the Modern Age' and '175 years at the Royal College of Art’. Her work was also exhibited in the powerful 'Club to Catwalk: London Fashion in the Eighties' show at the Victoria and Albert Museum in 2013.Sue is a consultant and presenter for Television specialising in interior design and textiles. She has recently developed branding and a range of housewares and gift accessories for the World Wildlife Fund (WWF). 2016 has seen Sue’s own brand licensed by Marks and Spencer for Home. The SUE_TIMNEY for M&S Collection is a range of table and kitchen ware products in her own inimitable and uncompromising style. Sue Timney's Interior Design Practice specialises in creating one- off interiors within unique architecture settings. This work combines residential and commercial projects which reference aspects of historical and contemporary design, resulting in uniquely accessible spaces. The 100th programme of Grand Designs - The Water Tower in Kennington - was a huge restoration designed by Sue and nominated for a BAFTA in 2013. The SUE_TIMNEY practice is currently working on several diverse commissions, including a group of boutique hotels and new residential developments in England and New York. Her recent appointment as consultant to The Churches Conservation Trust (CCT) who own a magnificent collection of 350 out of use church buildings of outstanding architecture in England, begins an exciting new genre of Interior Design for the practice.